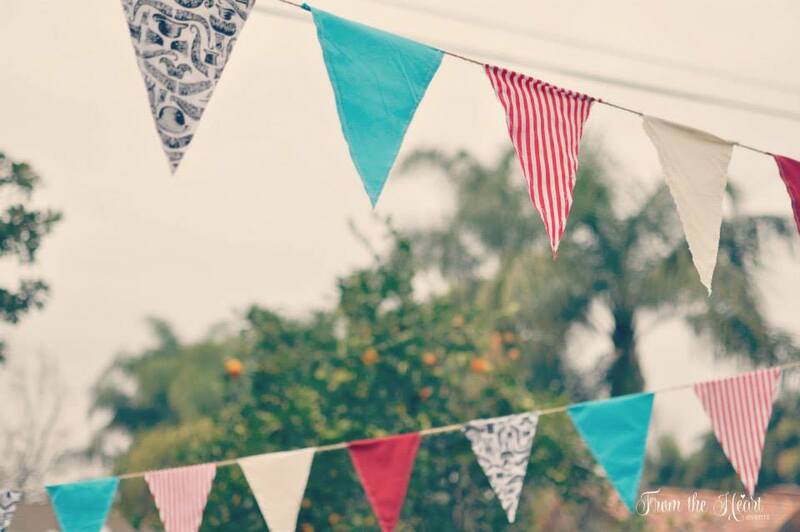 This entry was posted on July 17, 2018 by thatpartychick. 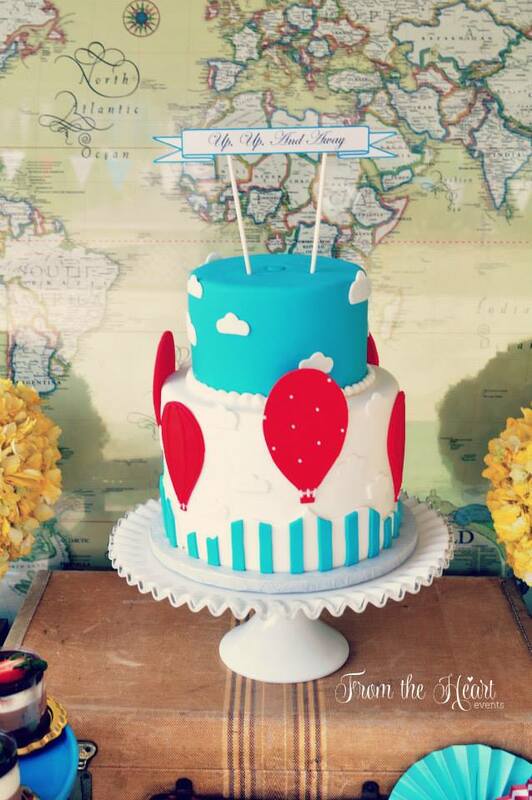 This fabulous hot air balloon baby shower was styled by From the Heart Events, and incorporated party printables by That Party Chick. 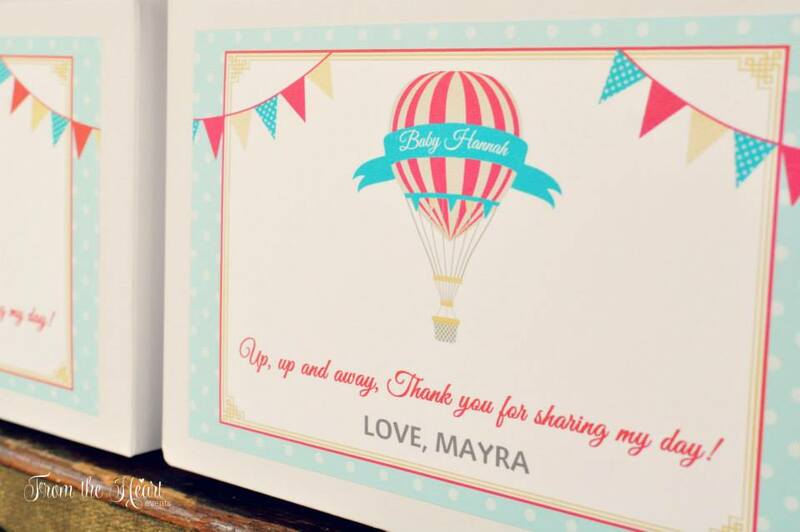 Bright colors of turquoise blue, red, and yellow provided a perfect color palate for this special occasion to document the Journey of Baby Hannah. 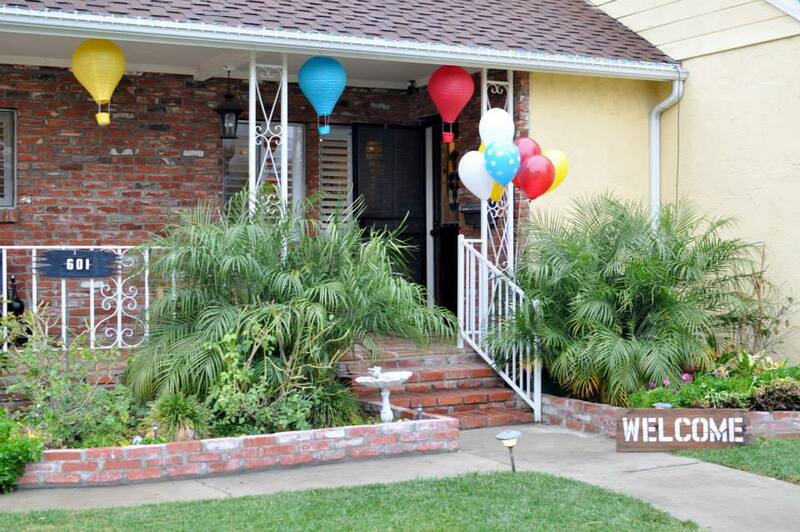 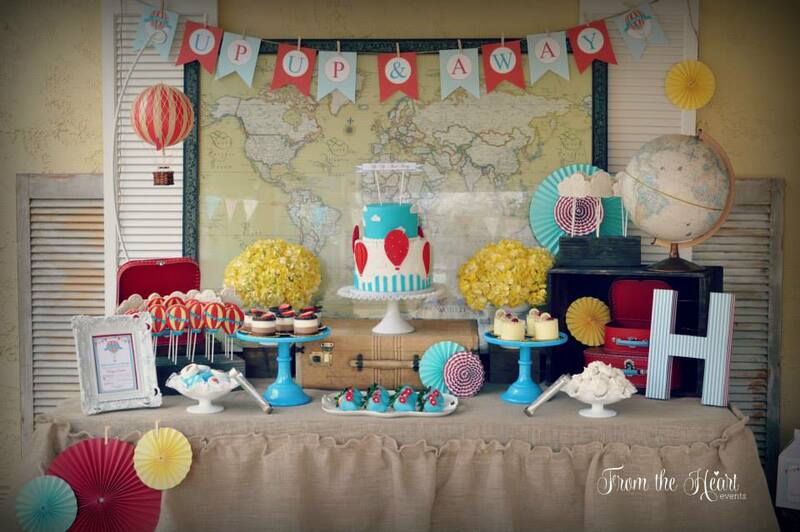 Balloons and hot air balloons lined the front porch. 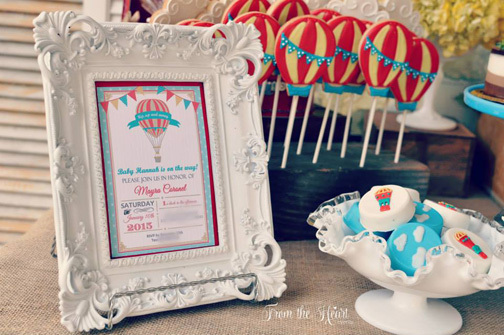 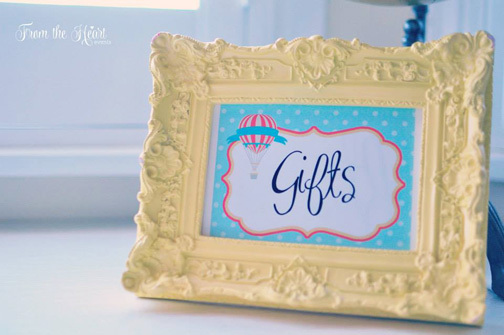 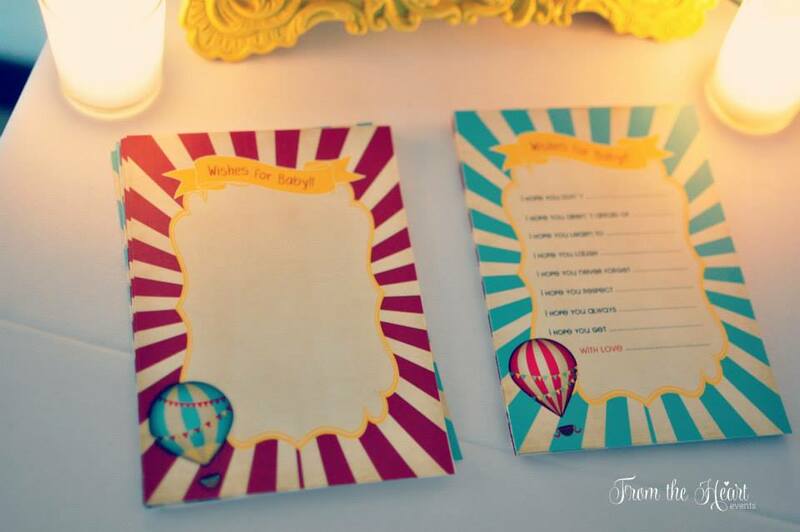 Decorative frames were utilized for not only the invitation but various party signs. 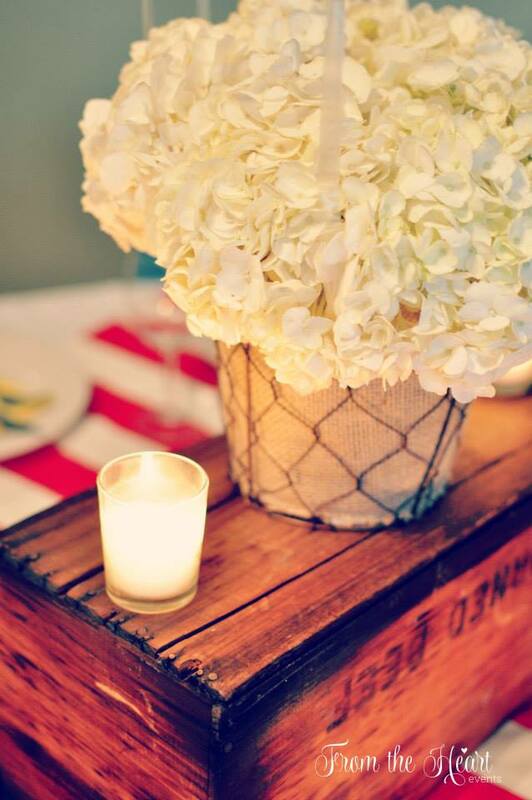 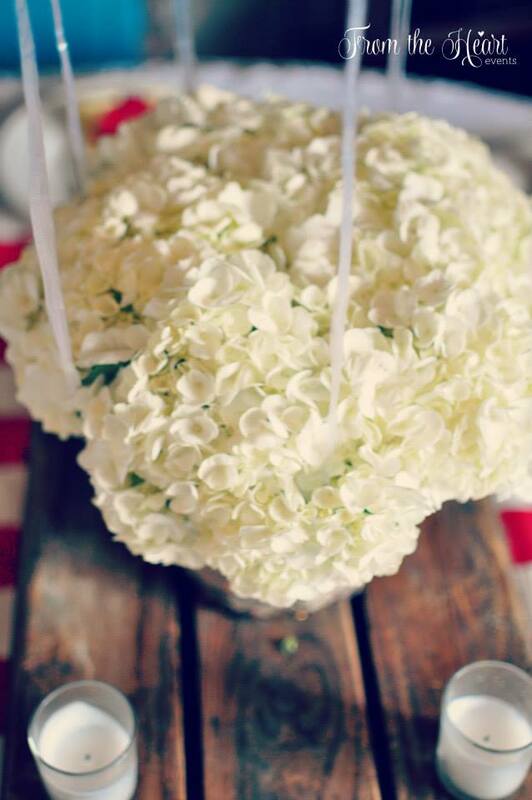 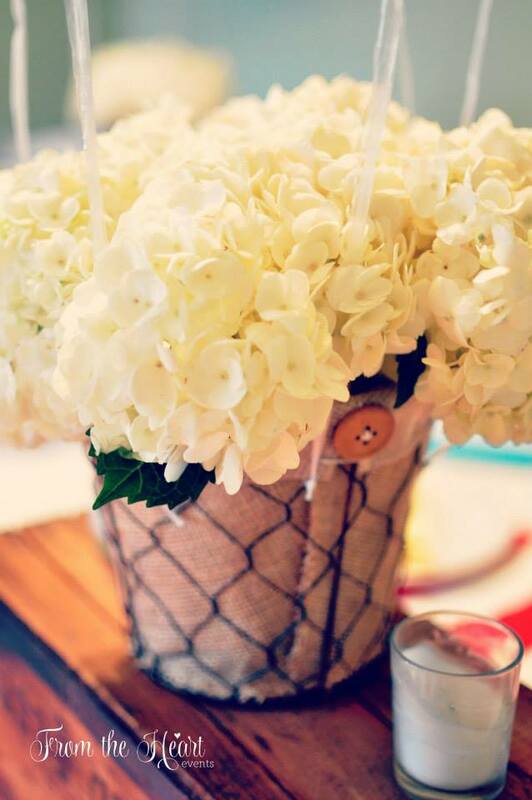 Hydrangea filled baskets outfitted with high flying yellow balloons were festively positioned on vintage wooden soft drink crates as centerpieces. 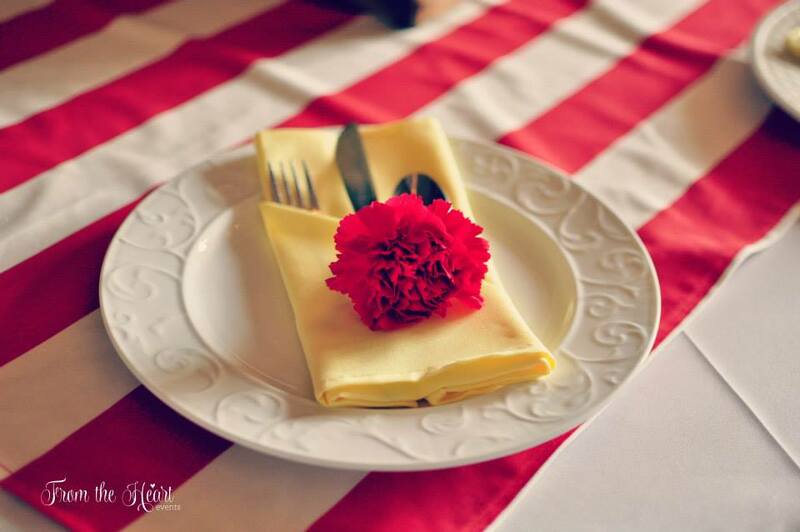 Great attention was given to detail as red flowers were beautifully tucked into yellow napkins. 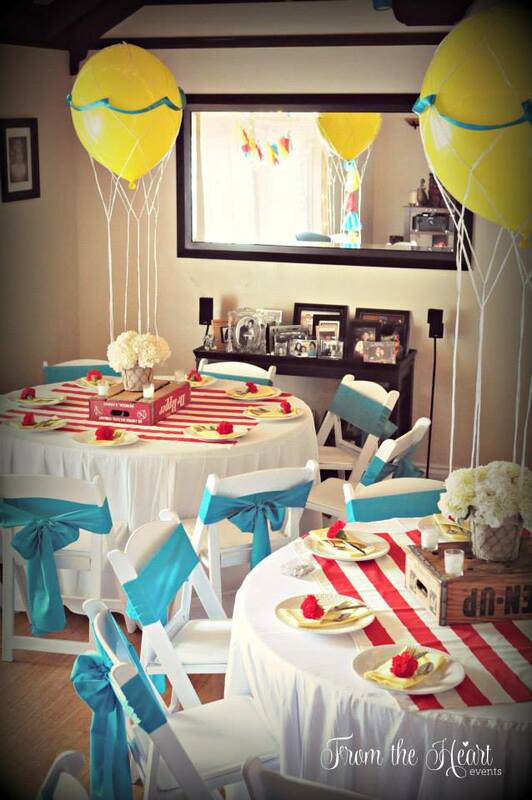 Guests dined seated in white chairs tied with blue bows. 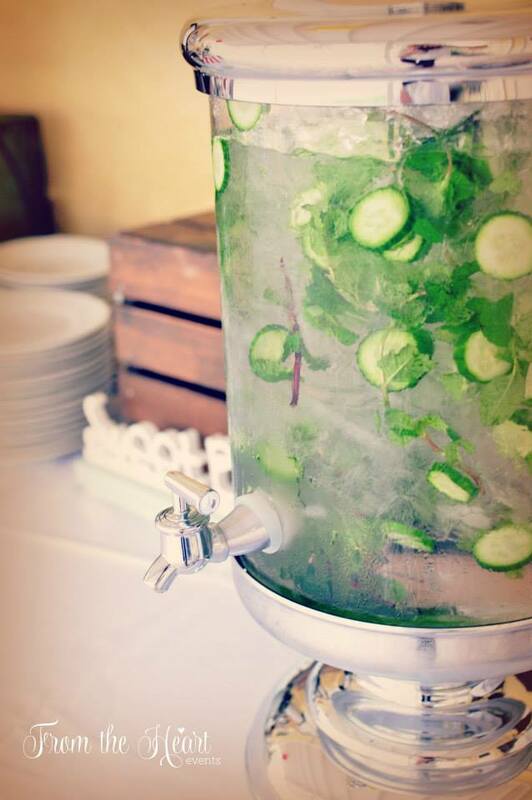 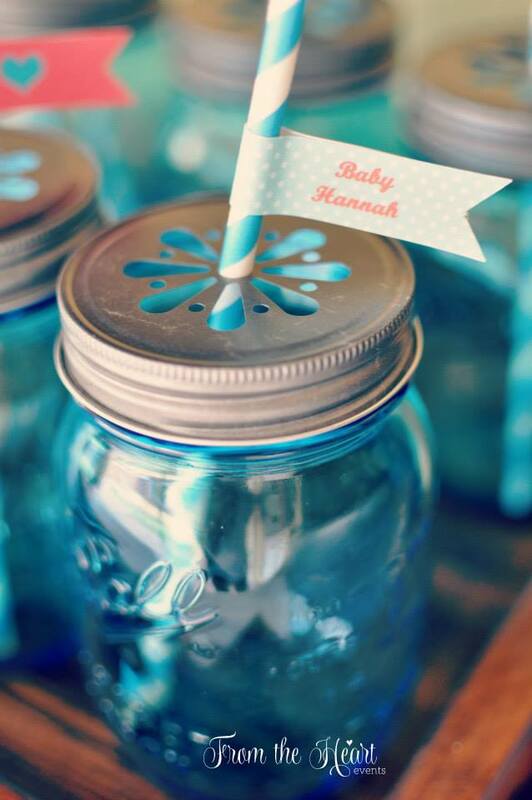 Blue mason jars included “Baby Hannah” decorated straw flags. 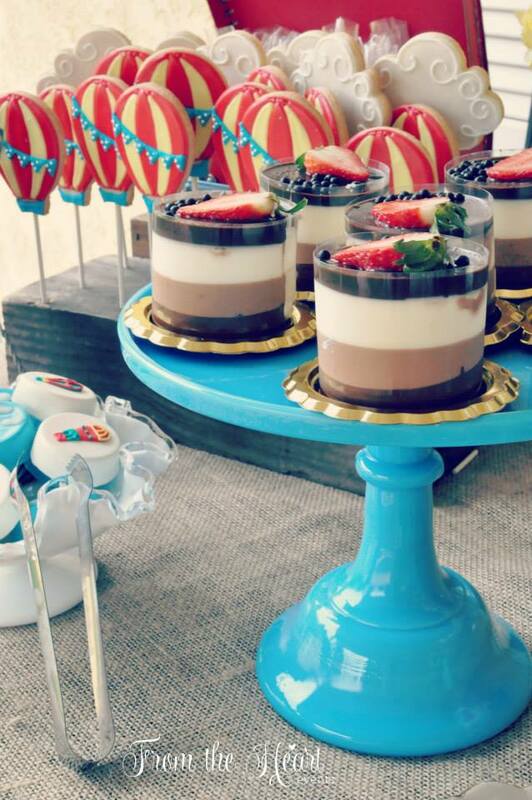 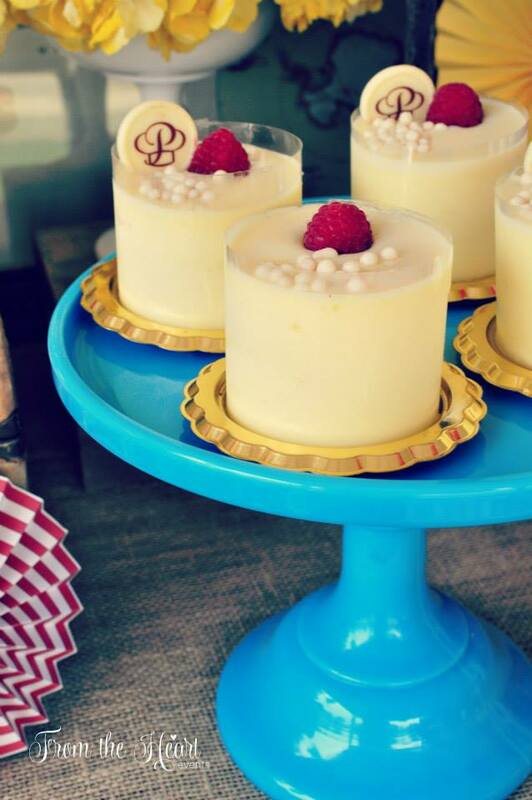 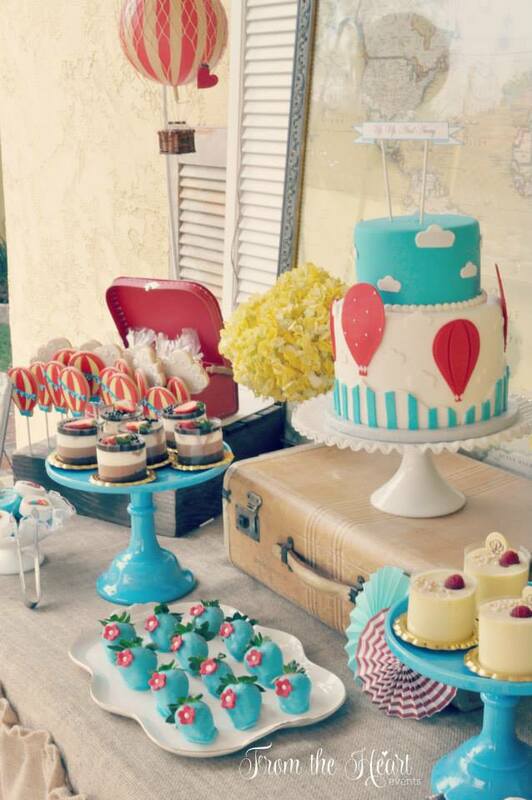 The magnificent dessert table included a wide array of delicacies and treats. 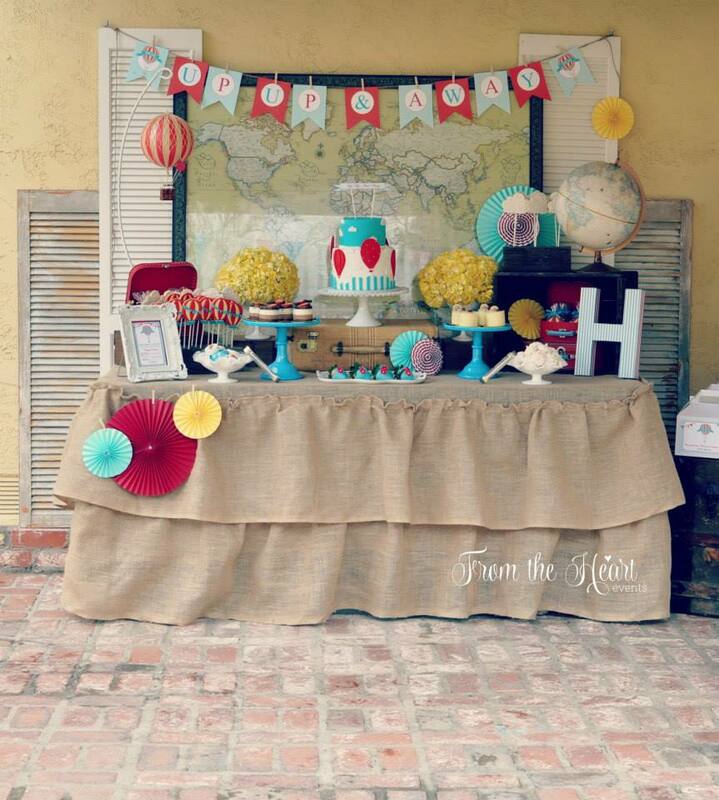 An “Up, Up, & Away Banner” and a map of the world provided the party table backdrop. 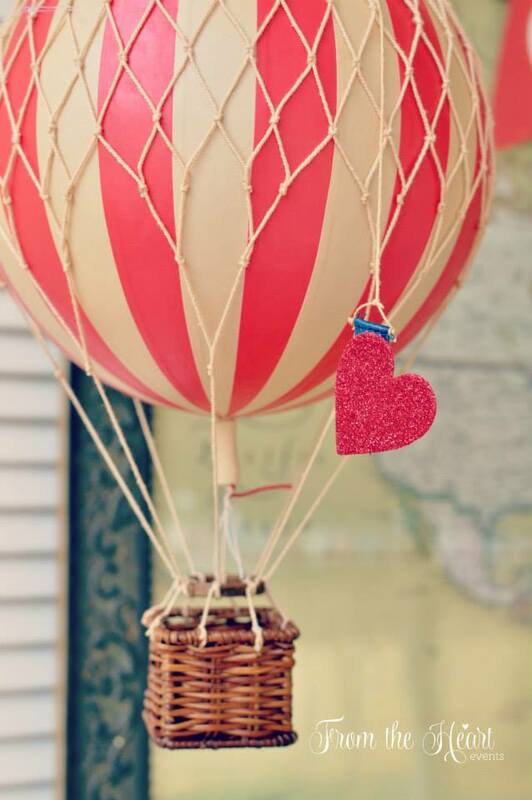 A hot air balloon with a dangling heart floated alongside! 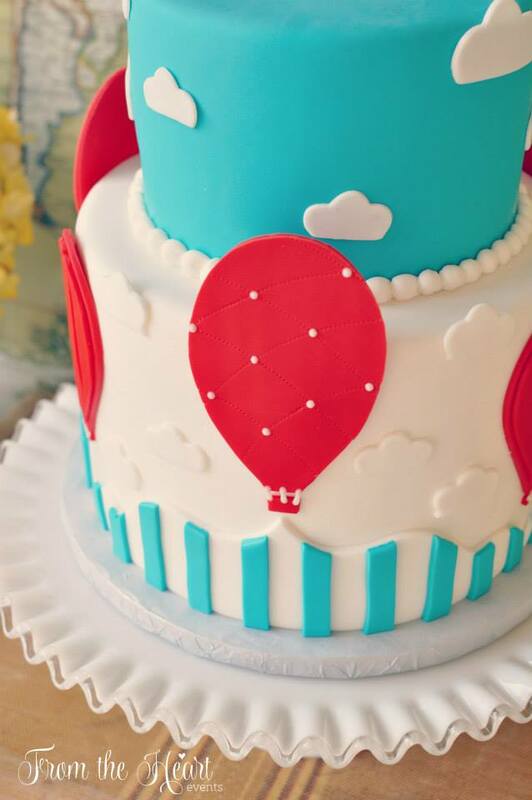 A stunning cake featured clouds and hot air balloons. 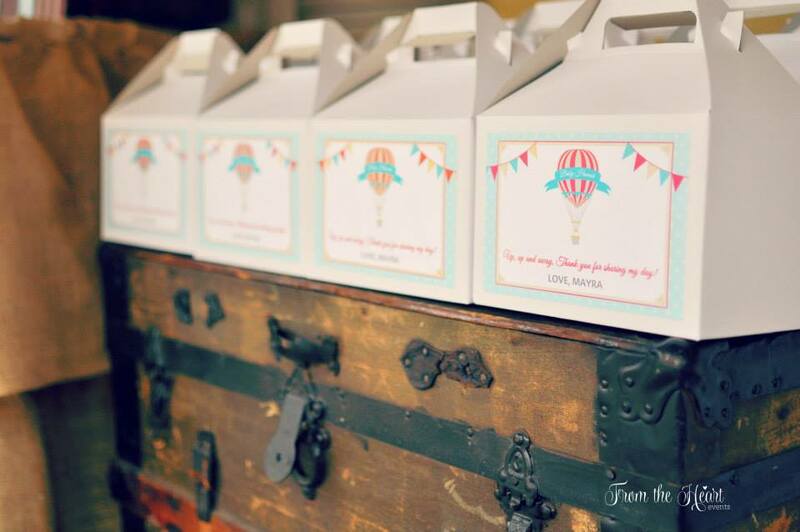 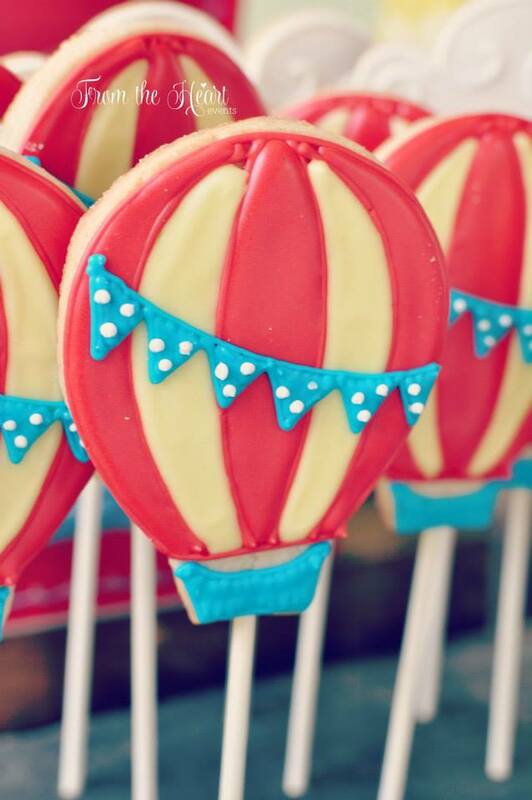 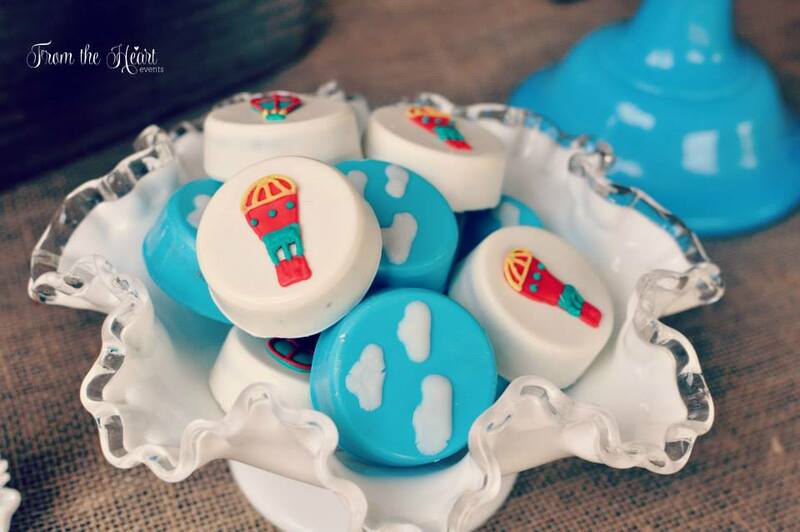 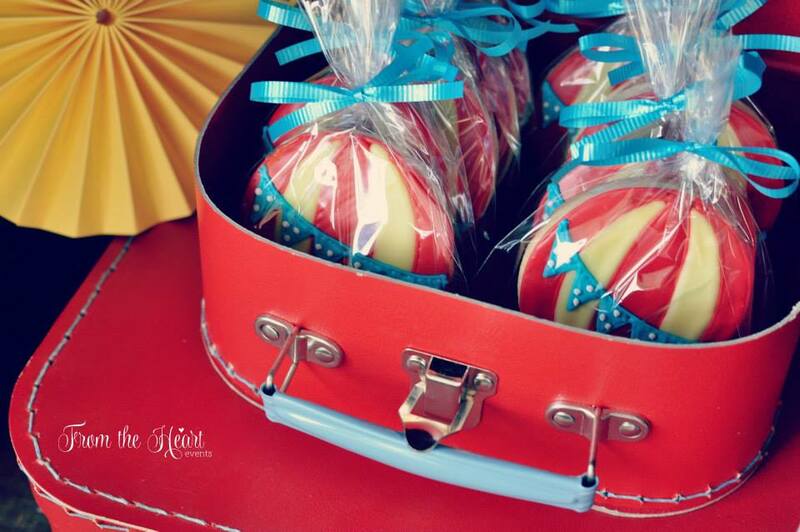 Hot air balloon cookies were arranged in red vintage suitcases. 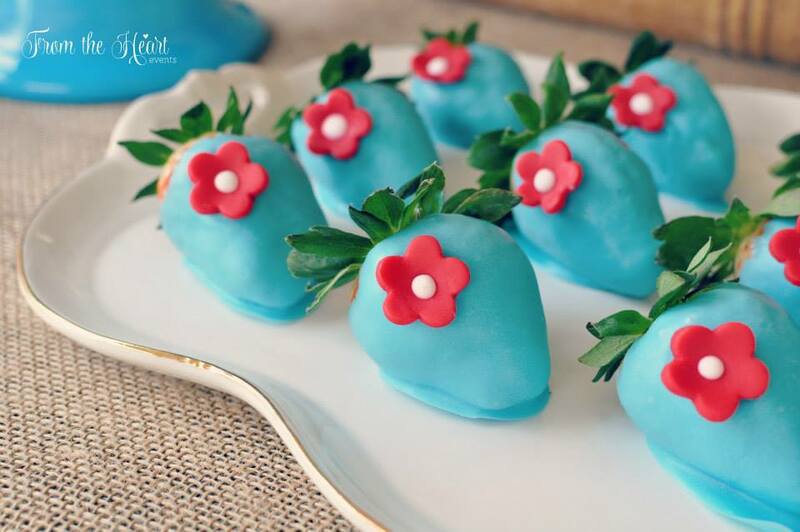 Blue candy covered strawberries and white chocolate covered Oreos were as cute as they were delicious. 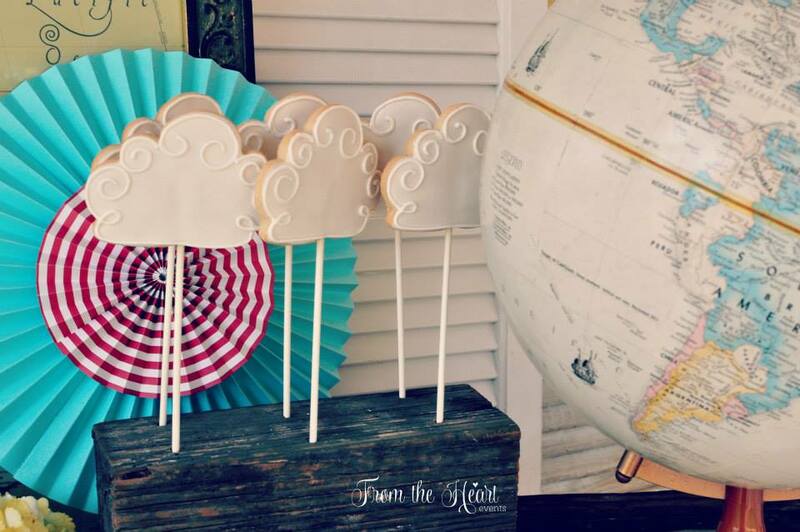 Cloud cookie pops, triple chocolate mousse, and other desserts delighted guests! 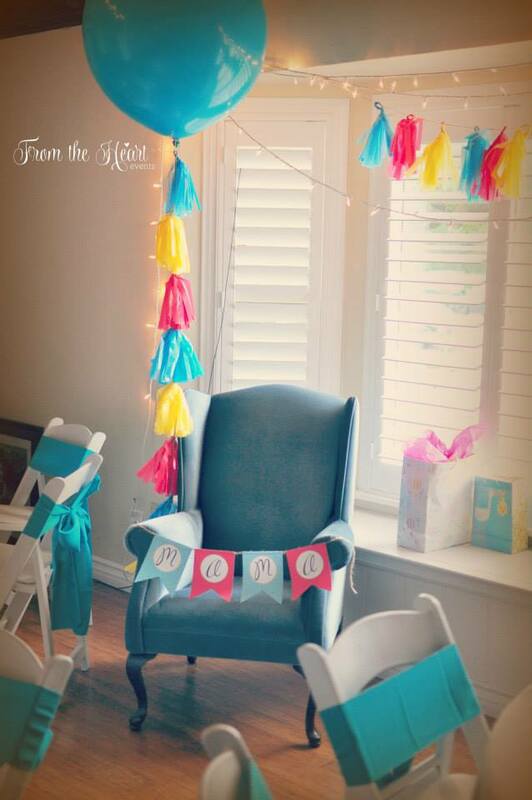 A Geronimo balloon with mini-tassel garland, and a “MAMA” bunting banner decorated a chair for the guest of honor. 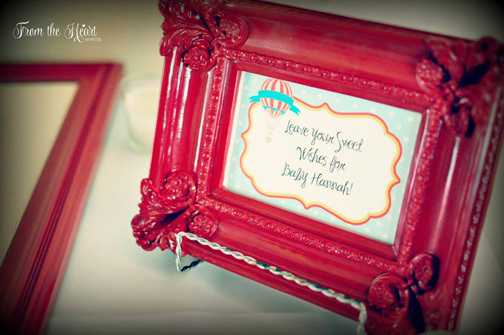 The day included so many wonderful expressions of love and wishes for Baby Hannah.